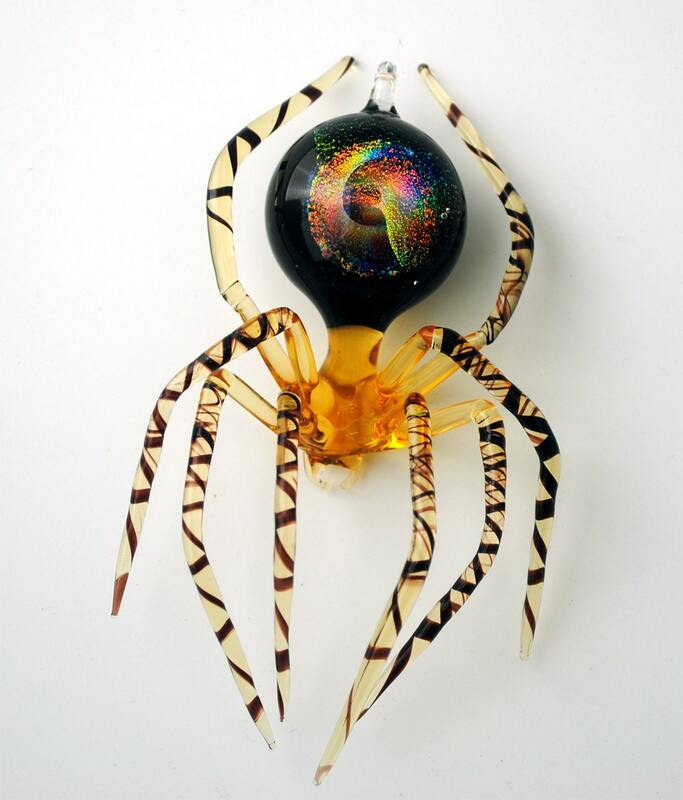 Handmade, lamp-worked glass Medium Dichroic Spider with Galaxy Abdomen. 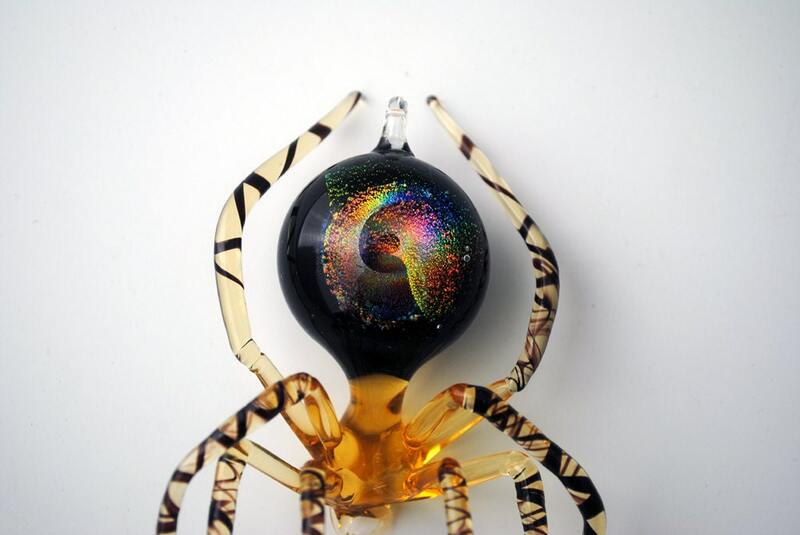 The galaxy in this spider has various colors and the depth of a real universe. Get lost in the wonders of the Galaxy of this spider.